Cider. A Review In Pictures. Tilted Shed Ciderworks Lost Orchard Dry Cider. Cider. A Review in Pictures. Aaron Burr Cidery Bourbon Barrel Cider. Cider. A Review in Pictures. Domaine Christian Drouin Poire. Cider. A Review in Pictures. Imagining cider as a work of art. Deadline Bean Town. 3 Cider Taste-Off Results. A Report from Outpost Boston. Some time ago our intrepid Bean Town Cider Correspondent led a cider tasting somewhere in wilds of greater Boston, Massachusetts, USA. Tasters were a diverse batch – ranging in age from just-legal whippersnappers, to seasoned imbibers. Of the assembled tasters a select few were cider-philes, most had only a glancing familiarity with our favorite pome fruit beverage, and some were completely cider-unaware, having no idea what to expect from a fermented apple elixir. Ciders were selected based on local availability. The 3 ciders were presented, glasses filled and the tasters let loose. Our correspondent placed paper and pen by each cider bottle, and the testers jotted anonymous notes as they tasted. The Consensus: Local craft cider Bantam WUNDERKIN is hands down favorite at this informal Boston cider tasting. 1. We believe there is a cider for everyone. 2. How to find YOUR ciders? Taste Testing. Extensive Taste Testing. 3. Cider Tasting is More Fun in Groups. Cider knowledge shared while tasting is enjoyable, and informal, casual tastings brings out the best in most ciders, and certainly results in some interesting comments. 4. If you like cider and want to share the cider joy, an informal tasting like this is a good way to introduce your cider-curious friends to the wonderful world of cider. Style Notes: The Dooryard series are cider batches that departed from the flavor profiles of established Farnum Hill blends. Each keg or bottle of Dooryard Cider is marked with a batch number, allowing you to look up the details of your specific cider, giving you a glimpse into the cider making process at Farnum Hill. Fruit: Apples. Golden Russet is a featured apple in this blend. Cider Maker: Nicole LeGrand Leibon. Farnum Hill Dooryard 1214 Still Cider pours a bright and shining rich roman gold, with gigantic bubbles that immediately fall dead still. Slight smokey notes of tobacco leaf, whiskey, and oak meld with citrus peel, baked apple, roast honey, chalk and green pepper. A quick swirl offers up toasted hazelnuts, and a hint of pineapple. The first taste is smooth, silky, pleasingly bitter, lightly tannic, a bit salty, with subterranean lingering apple tones. Deliciously complex aromas confounded at first. On reading the cider makers tasting notes, the quinine with pink grapefruit peel became more clearly identifiable. The floral aromas were more green than sweet reminiscent of lilies and tulips, herbaceous and slightly pungent. Reading the cider maker’s tasting notes can be very helpful. Accurate, well written information from the cider maker can increase your cider knowledge, and enhance the cider drinking experience. Overall Impressions: Extremely intriguing smokey and green floral aromas. Vinous and crisp, with refreshingly bitter flavors of quinine and grapefruit. An aromatic, complex and challenging cider. If you enjoy a brisk Gin & Tonic, and white wines with sharp minerality, this is a cider for you. Taster’s Side Note: The fact that this is a very Golden Russet heavy cider, makes us want to explore other ciders that feature this apple. Dooryard 1214 was featured as one of the The Ciders Of Summer. Our Favorite American Craft Ciders For Drinking Right Now, perfect for summer, but certainly a cider we would drink in these cooler months, if we could find a bottle. Cider52: A Cider Review A Week The original plan: 52 weeks, 52 cider tastings, pairings and postings. As of May 3, 2013 we revised our goal, now it’s 52 American Made Ciders to be reviewed in 2013. We’ll continue to explore and review World Cider, but the 52 Ciders in 2013 goal is now CIDER USA. With barely 13 weeks left in 2013 – we better get busy if we intended to meet our goal. So expect more cider reviews in these last few months of 2013 The Year of Cider. For a list of ALL ciders reviewed so far (Including ciders from around the world), see the CIDER REVIEWS: CIDER52 page. Our lightest, most casual cider, pale gold and bubbly, with a stroke of sweetness along with the tart, bitter, and fruity elements that good cider offers. Citrus, pineapple, bittersweet apple, and a trace of the barn. Farmhouse astringency is nowhere near the extreme, but shows a certain tannic edge. Agreeably versatile, sharing certain flavor elements with both beer and wine. A clean, appetizing finish makes it congenial with many kinds of food, from the snackiest to the whole-grainiest and back. ‘Farmhouse’ is more of a pub cider than our others. It varies a bit more from batch to batch, shows less complexity less alcohol than our others, and of course is less filling than beer. It and Semi-Dry are the most popular of our regular ciders. ‘Farmhouse’ is blended from a group of real cider apples that ripen earlier than most. So it’s a bit easier to make and less expensive to buy. Our Tasting Notes: compiled over several tastings. In The Glass: Clear, radiant shine. Glowing golden. First Pour: Slight froth that immediately settles in to a light mousse ring with miniscule bubbles. Distinct legs. 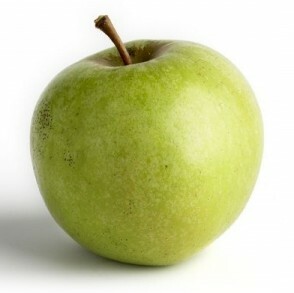 Aroma: Green apple, warm sugar, apple peel, fresh green grass. Black pepper, grapefruit, rooty and a bit barky. Cidery, hint of quinine, ripe apple, powdered sugar, leather. Swirl: Wood/oak – but not vanilla – slight tropical and dried fruit notes, pleasantly herbal, more quinine and grapefruit. Taste: Fresh, bitter, tannic, and cidery. BSA. Extremely subtle sweetness. Rustic, nicely rough. Finish: Long, slow, relatively gently tannins, soft powdery, slight citrus note. Bitter lingers, tapers off, and tannins slowly re-appear. Well balanced. Slightly drying and a bit warming. Our Pairing-The Tasting Lab: None. Overall Impressions: Farnum Hill Ciders DANCE. Visually, and in the mouth. Farmhouse Cider is no exception. The tannins and bitter notes tussle and tumble in this cider* and give you quite a flavor ride. Farmhouse is rustic yet focused, with bitter, sour, drying elements all jostling, and giving dimension to the cider. The aromas of this bumptious blend almost insists you drink it. For all its rough-hewn charm, this cider’s profile is very precise and finely honed. When drinking a Farnum Hill, you experience a well crafted, rounded, fully complete cider. There are no wrong notes, and much enjoyment to be had. *This may be why our (2) tasters had different experiences of Bitter and Sour balance in this cider. BSA Bitter Sweet Apple: Referring to aroma and flavor characteristics of Bitter-Sweet Apple varieties used for cider. Bittersweet apples are low in acids and high in tannins. Tannin accounts for two palate sensations: astringency and bitterness. Bittersweet apples impart the characteristic flavour of English ciders; as the name implies they are low in acid and high in tannin. The latter is responsible for two sensations on the palate – astringency and bitterness. 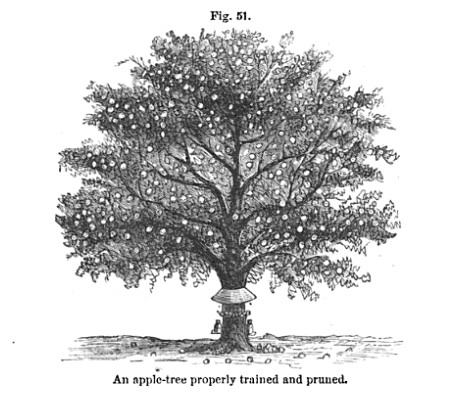 In the bittersweet apple, there is a whole range of combinations of these two characteristics, varying from little astringency coupled with intense bitterness to very marked astringency coupled with mild bitterness. Typical bittersweets are Dabinett, Yarlington Mill and Tremlett’s Bitter. ADDITIONAL READING: FH Cider Talk & Terms Farnum Hill explains their cider profiles and the philosophy behind the ciders they craft. If you have tasting notes to add please leave a comment. West County Cider Redfield. A beautiful, pink hued cider with clean, clear tannins and lively acidity. Goes anywhere a rosé can go, and then some. Farnum Hill Summer Cider. Effervescent, crisp, clear and bright. Well structured with a tannic finish as long and warming as a summer’s day. Farnum Hill Cider Dooryard series: Current favorite: Batch 1214. A still cider, full of tannins and bursting with notes of quinine and pink grapefruit. A cider that quenches like a crisp gin & tonic. Aaron Burr Bourbon Barrel Cider. Lean and sophisticated, notes of spice, citrus, apricot, and fresh apple with irrepressible bubbles providing continual refreshment. Tieton Cider Works Apricot. The perfect outdoor entertaining cider. A fruity floral foil to tangy barbecue sauces and grilling marinades. Perfect as a base for a cider sangria and enjoying with brunch on the patio. Eden Ice Cider Orleans Bitter. Anytime, anywhere, all summer long. On ice, mixed, shaken, stirred, spritzed, or frozen. A lovely herbal bitterness that refreshes. Note: We have only begun to taste the variety that is American craft cider. If you have favorites, especially for summer cider drinking, please leave a comment. Order is not indicative of preference. Review Note: Solo tasting. Team tasting review to follow. In The Glass: Slight POP on opening. Pale, light medium golden with tinges of green and amber. Clear, bright, with miniscule bead, minimal mousse. Aromas of yeast, raw and cooked apple, orchard, sous bois, and tannins. Tastes of red and green apple skins, a tad meaty, band-aid, wet grass, woody, green notes, bark, slightly leathery. Sweetness – caramel, toffee, raisins, warm sugars, honey. Celery, rhubarb, herbal. Sweet and bitter notes, light tannins, not much acidity. 2nd glass: Mineral notes, wet stones. Slate-y, green, moss, deciduous trees, mown hay. Tidal flats, hint of salt, a bit floral, freesia. As bottle warms up acidity is more apparent – now showing some legs/tears. Far off hints of pine, cedar, bark. The green woody notes cut the sweet, sugar, apple, and honey. More: Resin, freesia, honey, butter, spice. Empty glass: Honey, wet tanned hides, damp straw. Visible sediment. Temperature definitely affects experience of cider. As bottle warms up more flavor and aroma qualities are apparent. Future tastings should utilize beverage thermometer to test temperature of cider being reviewed to see how variations in temperature affect how cider is experienced. Pairings – The Tasting Lab: None. Overall Impressions: Sweet grass. Passing pleasing bitter notes. Intriguing perfume. Damp hay and barnyard. Resin, freesia, honey, butter, salt and stones. Style Notes: USDA Organic. Unfiltered and unpasteurized. Made with naturally occurring yeasts. The fermentation is controlled by successive racking. Bottled between May and April. No sulfites added. Fruit: Apples. 100% organically grown apples of the Bisquet, Joly Rouge, Douce Coet and Binet Rouge variety. Makers Fruit Notes: The apples and the techniques used to make the cider are in conformity with American standards relating to organic agriculture, “N.O.P. Organic”. The apples are entirely untreated. Note: Domaine Dupont labels each bottling with vintage year. The poor soils of the Pays d’Auge region, consisting of marl and chalky marl of the Oxfordian (secondary era) limit the growth of the trees and this leads to the production of small apples. The aromatic intensity is thereby increased and the ratio of skin to pulp helps to favour the extraction of tannins. Nitrogenous fertilisers (which swell the fruit by water retention) are not used – giving priority to quality rather than yield. Marl: Marl or marlstone is a calcium carbonate or lime-rich mud or mudstone which contains variable amounts of clays and silt. The dominant carbonate mineral in most marls is calcite, but other carbonate minerals such as aragonite, dolomite, and siderite may be present. Marl was originally an old term loosely applied to a variety of materials, most of which occur as loose, earthy deposits consisting chiefly of an intimate mixture of clay and calcium carbonate, formed under freshwater conditions; specifically an earthy substance containing 35–65% clay and 65-35% carbonate. ABV: 7.5 % Bottle: Available in 16.9 oz crown cap bottles, and on draft. Makers Style Notes: Semi-Dry and tart with a “warm ginger tone”. Fruit: Apple. From orchards in Hood River & Culver, Oregon. In The Glass: On First Pour: Color & Clarity: Radiant brass, bright, shining and clear with clusters of varied bubbles and slight tears. Aroma: Intense upfront aromas of ‘real’ sugars, suggesting cloying sweetness, followed by cooked apple, maple, honey, toffee, black pepper and hints of orchard. Retro-nasally (aroma on exhale) there are floral-lily notes. Taste: The fleeting sweetness of caramelized fruit and maple syrup is followed by crisp acidity, salt and a jolt of tannins. Woody and damp, the moderate tannins add complexity and balance, creating a honeyed-mead roundness reminiscent of fall. Like Anthem Cider, Wanderlust entices with sweet aromas, then surprises with a depth and structure beyond the initial sugary nose. Our Pairings – The Tasting Lab: Gouda, black bean hummus, guava jam, and pickled jalapeño – a favorite grilled cheese from The Queens Kickshaw – this sweet spicy sandwich and cider combination is extremely complimentary. Mesclun greens tossed in jalapeño vinaigrette enhance the sois bois dampness in the cider, and the cider brightens the ‘greeness’ of the mixed lettuces. Specific Qualities: This cider got us thinking about qualities of ‘sous bois’, and orchard aromas. “sous bois“- of the orchard or of the orchard undergrowth. A very particular range of aromas representing the many elements present in the orchard ecological system, from ripe to over ripe or even rotting fruit, fruit flesh and skins, fruit leaves, tree bark, orchard grasses, and soil. Overall very fragrant, pungent, sweet, earthy, and fecund. A unique aromal experience that simultaneously reminds one of both growth and decay. Wandering Aengus Ciderworks Wanderlust’s aromas and flavors are transporting, vividly expressing the experience of walking through an orchard, bringing the seasonal cycles keenly into consciousness. A quality we find highly desirable, especially in a well crafted cider. Wanderlust possesses a slightly ‘damp orchard’ aroma, a seemingly logical result for a cider coming from the moisture abundant temperate climate of the Willamette River Valley region of Oregon. Is this a distinctly Northwest ‘sous bois’ or a particular Wandering Aengus Cider and Anthem Cider trait? Will this trait emerge as a defining characteristic of Northwest ciders? We can’t wait to find out. Overall Impressions: Wandering Aengus WANDERLUST is an accessible, intriguing cider, offering the simple seductive allure of sweetness followed by well structured complexity. If you are interested in the Willamette River Valley regions climate and growing sites details, as they apply to wine grapes, you can read about the regions 7 unique AVAs here and here. If you have tasting notes, please leave a comment. Review Note: Solo tasting. No team tasting pending as this batch of Dooryard cider is no longer available. Visit the Farnum Hill website to get specific notes on your batch of Dooryard using this link. This new Dooryard was blended from our new big batch base 1205, a tank-end of 1211, and a partial barrel of 1311, Wickson. This cider doesn’t color too far out of our usual Farnum Hill Ciders lines, compared to some previous Dooryard batches. The nose carries a fair bit of BSA, but has bright spots of sour cherry and pineapple. There is pear and a little whiskey* in the nose, too. The taste starts with a burst of fruity sweetness, but the sweetness drops quickly behind the bright acid and the nice, woody, BSA bitter. Orange and tangerine join the fruits from the nose, with a tiny bit of red candy. The fruits in this one jostle for prominence; they take turns popping. The astringency is moderately low, the feel medium-full. The finish carries all of the fruits from the nose and taste, as well as a nice broad but mild bitter. The whiskey note remains. Dare I say this reminds me of a tropical drink made with whiskey? Cherry on top. * I know. There’s always a caveat with me, isn’t there? The whiskey thing can be attributed to the barrels we use, because whiskey is aged in barrels, blah blah blah. The thing is, the barrels we use are neutral. REALLY neutral. Sold to us nigh on 15 years ago because the winemaker on Long Island we got them from thought they were too neutral THEN. So we actually think a lot of the “whiskey” notes we get are just as likely to come from the apples we use. In fact, it has shown up in cider that was fermented in stainless steel, with no oak contact. Totally weird, huh? That’s why we still think we are learning. And why this job stays so fascinating. Weird stuff. Mother Nature is cool. Cheers to her! In The Glass: Bright, clear golden, hint of amber in the glass. Extremely clear, shines. Subtle bead, light mousse. Slight legs, gentle tears. Aroma & Taste: Fresh apple, baked apple fruit, sugar, spice, caramel, tropical fruit, pineapple, sous bois, orchard, wet grass, confectionary, winey, bit of barnyard, green pepper, black pepper, ginger-spice, honey, toffee. Overall Impressions: Another interesting Dooryard Cider experience. Soft tannins, “juicy” acidity, hints of sweetness, lightly effervescent. Drinks like a tannic white wine. Probably drinking too cold and not getting the full spectrum of flavors, missing some of the subtle whiskey and bitter notes. Note: Tastings are generally team efforts. Occasionally we will post solo tasting notes. This is a solo tasting. ABV: 7.6 % Bottle: 500 ml, mushroom cork, wire cage. Style Notes: Sparkling cider. Aged 2 years. Home-tapped and boiled maple sap. Fruit: Apple. Orange County, New York Apples: Spy, Idared, and Empire. Makers Notes: Dry and light bodied. Full M/L conversion: buttery with imparted smoke and vanilla from barrel. Drinks like a French-style white when still, less dry and w/ faint maple exhale when carbonated. Our Tasting Notes: Aaron Burr Bourbon Barrel Cider: Reviews composed over (3) separate tastings. In The Glass: First Impressions: Beautiful vintage inspired bottle and lovely graphic design with handmade letter-pressed labels. Almost as much fun to pour as to drink. On First Pour: Prolific miniscule bead. Active, lively, spry bubbles create a pétillant fog in the glass. Color & Clarity: White gold. Lightly opaque as a result of the exuberant effervescence. Aroma: Delicate aromas of apple flesh, clean oak and vanilla. Hints of spice, black pepper and citrus. Taste: Apple custard, cream, oak, vanilla, bourbon, and whiskey, followed by flavors of baked apple, and ‘sous bois’ orchard aromas. Warming medium-long finish, expressing subtle hints of spice, quinine, sulphur, resin, dried apricot and orange peel. Aaron Burr Cidery BOURBON BARREL CIDER scores: Bitter 4, Sour 3, Salty 3, Sweet 0, Umami not noted. The Tasting Lab: We enjoyed Aaron Burr Bourbon Barrel Cider at The Queens Kickshaw, one of our favorite spots for imbibing, alongside a few of their menu items that practically begged to be paired with cider. The spiciness of the blue mold in the Great Hill Blue grilled cheese sandwich (with prune jam and fresh pear salsa), comes alive when mingled with the varied whiskey flavors present in the cider. Bread pudding with caramel sauce was caramel-apple whiskey perfection. A whipped cream smothered warm apple cobbler accentuated the ciders pure apple flavors, revealing tannins, and creating an explosion of flavor. Cheesemonger’s Notes: Pair this cider with aged cheeses: Goudas, Cabot Clothbound Cheddar, Catamount Hills, or Sartori Gold. Overall Impressions: A unique example of the beneficial effects of barrel aging on cider. An extremely refined, lean, sophisticated cider, Aaron Burr Bourbon Barrel Cider pairs exceptionally well with sweets, complex cheeses, and has enough depth and substance to be enjoyed simply, by itself. The finesse and quality of Aaron Burr Bourbon Barrel Cider signals this is a cider maker to watch. Specs: Dry and light bodied. Full M/L conversion: buttery with imparted smoke and vanilla from barrel. Source: Orange County (NY) Spy, Idared, Empire apples, home-tapped and boiled maple sap. Makers Style Notes: Product certified by the Council of the “PDO Sidra de Asturias”. Hand picked apples. Fermented using indigenous yeasts. Fermentation in chestnut wood barrels. Tasting Notes: Straw yellow, clean and fruity scent reminiscent of the origin of the fruit. Makers Fruit Notes: Selection of some of the 22 varieties permitted by the Regulatory Council, including Raxao, Regona, Perico, Carrio, seeking a balance between those that are acidic, bitter and sweet. Our Tasting Notes: May 10, 2013. In The Glass: Cloudy, unfiltered, straw. Tiny bubbles visible only on the surface. Aroma & Taste: Flavors: From 0 Low – 9 High: Val d’Ornón Sidra scores: Sour Butter 7-8, Leather/Tanned Hides 6, Hay 5, Latent Acidity 4, Fresh/Raw Dessert Apple 3. 5 Tastes Scale: From 0 Low – 9 High: Val d’Ornón Sidra scores: Salty 5-6, Bitter 4.5, Sour 3, Sweet 2, Umami 1. Our Pairings – The Tasting Lab: Classic match with fiery chorizo and garlicy bitter greens, followed by sweet creamy blue & salty pressed rind cheeses, charred toasts and raw Granny Smith apple slices. Val d’Ornón Sidra is right at home with this simple, rustic country fare. Overall Impressions: Funk forward with blossoming apple flavors. Old World style with balanced astringency and acid. Another cider that got us thinking about the similarities and differences between Spain’s Asturian sidras and the UK’s 3 Counties ciders, pondering the presence, quality, and unique expression of acidity in these two traditional regional cider styles. To explore further: Why traditional Asturian sidras do not explore or develop the ‘sweet’ aspect of the pome fruit, instead embracing acidity without the tannic/bitter balance found in traditional UK ciders. Is this solely a result of the properties of Asturian cider apples? Or something else? Perhaps a Spanish chef, cidermaker, or Asturian/Basque food culture historian can provide insight. Makers Style Notes: Anthem Cider – offers the tart acidity of the apple’s natural malic acid with a clean fruit forward finish. Anthem Cider is the foundation for all the Anthems. Semi-Dry. Medium Tart. 5.0% to 6.5% ABV. Fruit: Apple. Washington and Oregon. Makers Fruit Notes: Anthem Traditionally Fermented Cider, is brewed with Honey Crisp, Gala, Granny Smith and Golden Delicious apples. 90% Organic. Anthem uses only whole apples, pressed and fermented. The first batch of Anthem Cider was kegged March 10, 2010 on the belief that we at Wandering Aengus Ciderworks can make a great draft cider without compromise. So what is a great draft cider without compromise? Basically, it is a cider made the way people expect a cider to be made; starting with actual apples, pressing them, and fermenting the fresh juice only days after. Read more about Anthem’s goals here. In The Glass: Clear, light, bright, brassy gold. Itty-bitty bubbles. Aroma & Taste: Dessert apples, cotton candy, licorice, apple peel tannins, damp bark and wet wood. A bit of vanilla, particularly on last sip. Empty glass reverberates notes of sweet and wood. Light body, balanced leaning toward bitter/tannin axis, medium acidity, short to medium finish, no real aftertaste, slight warming effect on tip of tongue. Taste Scale: From 0 Low – 9 High: ANTHEM Cider gets: Bitter 6, Sour 4.5, Sweet 3, Salty 1, Umami 1. Our Pairings – The Tasting Lab: Tried with chorizo sausage and garlicy kale. Nice and chewy with the fiery spice of the chorizo and the bite of the garlic and bitter greens. (As noted in several past reviews – we think cider is a great mate to bitter greens). Overall Impressions: Very accessible complexity. Cleverly comes on tarted up like a mass market cider, then delivers something quite different. Instead of the saccharine flavors the initial aromas might suggest, Anthem is surprisingly more complex, with incontestable tannins, distinct bitter notes, and only hints of sweet, sweet apple. Anthem is definitely a gateway cider. Reviewers Note: ANTHEM Cider possesses a unique damp orchard aroma. Hints of a distinctly Northwest ‘sous bois‘ or at least a Wandering Aengus/Anthem cidermakers ‘sous bois’. More on this in our review of Wandering Aengus’ Wanderlust, coming up. Cider: (6) Various ciders and barrel samples. Maker’s Style Notes: It’s alive! Fresh apple flavors and the aromas of yeast, some residual sugar, and natural carbonation in the bottle bring you a drink for all seasons. No sulfur, very unfiltered. Our Impressions: A full round mouthfeel, yeast and honey aromas, apple syrup sweetness, effervescent. Maker’s Style Notes: American apple varieties grown in the Hudson Valley and a bit of sweetness make a refreshing beverage that can be sipped by itself or with a meal. No sulfur, not filtered. Our Impressions: A favorite old friend that we always enjoy visiting. Zesty and alive, a refreshing anytime cider. Provokes rustic 18th century thoughts. Maker’s Style Notes: A blend of American and European cider apples creates rich, more complex aromas. Strong acidly like crisp white wine means you can pair this cider with any meal. Barrel samples, unfiltered. Our Impressions: Winey. Reminiscent of Sauvignon Blanc. Crisp and silky. Maker’s Style Notes: A single varietal. Unfiltered. Made by the ancient Pomme d’api. Brought by the Romans to England. Our Impressions: Easy drinking. Mellow apple flavor. More sweet than tart but balanced. A fine lady indeed. Maker’s Style Notes: A beloved French variety. Complex flavors and more tannins. Unfiltered. Our Impressions: Pleasing subtle structure with soft tannins and a smooth light sweetness. Maker’s Style Notes: A unique blend of bitter and acidic apples. Unfiltered. Our Impressions: Complex and intense. A diverse array of bitter flavor elements are present more so than we have ever experienced as most commercially available ciders tend to have one or two bitter notes if any at all. Symphonic with lots of tannins and acid that support and supply structure. Delectably illustrates the concept of blending for structure and balance and unique fruit expression. Makes us curious to find out more about the old English cider apple, Ellis Bitter, used in this blend. Note: All of these ciders and barrel samples were tasted May 10, 2013 at the Cider Salon hosted by Jimmy’s No. 43 to benefit Breezy Hill Orchard and Cider Mill and their campaign to raise funds to Rebuild Historic Cider House at Greenmarket Farm Breezy Hill. Find more about funding and rewards via Kickstarter. Cider Knowledge: This type of tasting is a terrific way to get a glimpse into the growers and cidermakers process and learn a bit about how they approach fruit choices and utilize blending in the development of their fruit and cider portfolio. Note on fruit sources: Elizabeth Ryan is the primary grower and principle cidermaker. Multiple orchards supply the fruit for these ciders. Makers Style Notes: What ARE Dooryard ciders? “Lovely cider batches” that departed too much from the flavor profiles of established Farnum Hill Cider blends. The ongoing Dooryard series: experimental ciders, ranging from bittersweet to superfruity, that sell out quickly, never to be made again. “It’s a veritable feast of the weird and the wild,” according to Steve Wood, one of Farnum Hill Ciders founding makers. Bonus Feature: Each keg or bottle of Dooryard Cider is marked with a batch number, allowing you to look up the details of your specific batches apples, blend, and tasting notes. It’s a glimpse behind the making process at Farnum Hill Cider, and a chance to read more about the people, processes, and ideas involved in creating your batch of Dooryard Cider. “Dooryard 12o2A jumps away from the ‘rowdier tannins’ that we forecast for the Dooryard tribe. The fruit notes cluster mostly in the peachy plummy stone-fruit family, but without sweetness. Prominent is a long smooth savory ‘umami’ woven throughout 1202A’s aromas and flavors, pleasurably escorting the many acid, bitter, fruity, and woodsy notes that carry into the finish. But tannic bite and astringent pucker? Not really. So much for generalizations”. In The Glass: Dooryard 1202A is clear, bright, shining, pale gold, with a faint green tinge. Aroma & Flavour:: Fresh dessert apple, green apple, tropical fruits, pineapple. Cider is full of “zing” with a tart crisp tannin balance. -Ed. Note: When sampling, Farnum Hill Cider often gets short shrift as it is the cider we tend to chat over instead of review in a focused fashion. We decided that this indicates a very successful cider, as it inspires such conviviality. Our Pairing-The Tasting Lab: We tried Farnum Hill Dooryard Batch 1202A with a variety of foods, including raw greens and brussel sprouts, a pairing that heightened the perceived experience of the ciders ‘sweetness’ and highlighted its inherent complexity. The raw brussel sprouts also benefited from the pairing, exhibiting delightful flavor complexity previously unnoticed in the little brassicas. For a handy reference (with recipes), and an aid to studying the vegetable kingdom and understanding the relationships within botanical families see: Vegetable Literacy by Deborah Madison. We like this cider very much with food or alone. Cheesemonger’s Notes: Cypress Grove Purple Haze- a fresh chèvre made with fennel pollen and lavender livens up the already bright flavors in the cider and rounds out the whole experience by providing a hint of sweetness. Avoid Blues or other intense cheeses (aged Goudas, Cheddars, Parms) as they overpower the soft fruit flavors of 1202A. Overall Impressions: We are always happy with a glass or bottle of Farnum Hill Cider. The Dooryard series, while divergent from the brands standard profiles, never disappoints. Consistent quality, finely crafted. Too good not to share. Drinking the Farnum Hill DOORYARD series regularly can be a great cider education tool. Farnum Hill Cider’s decision to save cider blends that step outside of their established commercial brand profiles and sell Dooryards as unique one of a kind batches is an interesting example of real, classic, American style craft cider. Each batch reflecting variations in methodology, fruit available, and blending options. By posting tasting notes online for each specific Dooryard batch, Farnum Hill allows the cider explorer to understand how and why these flavor profiles deviate from their “standard” blends (Extra Dry, Semi-Dry, Farmhouse) and furthers our comprehension of the standard blends themselves. What are the characteristics of a Farmhouse? What differentiates this from an Extra Dry or Semi-Dry? Enjoy Dooryards often to taste the answers to these questions and keep up with the happenings at Poverty Lane. Further reading: A Visit to Farnum Hill Ciders (NH): Watching Art Being Made from the blog East Coast Wineries. ABV: 6.0 % Bottle: 22 fl oz. 650 ml. Fruit: Apple. Uses fresh juice and concentrate. Cider Maker: Bruce Nissen, Head Cider-Maker, Crispin Cider Company. Maker’s Style Notes: USDA Organic certified hard ciders. Double fermentation process. Natural fermentation without chaptalization. American organic apple juice and “Forbidden Fruit” wit yeast. Following full fermentation, a second fermentation is initiated with the addition of new raw organic juice and sparkling wine yeast. In The Glass: Unfiltered, slightly opaque, golden amber. Tiny bead/bubble. Aroma: Very confectionary, “real” candy – not synthetic – sugar aromas. Taste: Flavors of sweet and sugary dessert apples, warm spun sugars, with a soft mouthfeel. No real “crispness” or acidity. Slight bright, green and grassy notes. A light spice finish, soft on the palette, no astringency. Final Glass: Estery, with aromas of bananas and spice, and noticeably more opaque, creamy, milky, than earlier pours, with some residual sediments. Overall Impressions: Sweet apples and spun sugar, with hints of spice and a bit of green grass brightness. Note: Drank up-chilled, not over ice as maker recommends. Will try again over ice as suggested to see how and if that alters the flavor profile and cider drinking experience. And: This is another Crispin cider that is fermented using beer yeasts (AND wine yeasts). Beer yeasts and cider making will be discussed in an upcoming post. Pairing Notes- The Tasting Lab: We tried with curry spiced pumpkin seeds. The cinnamon, clove, and peppery spices of the seeds matched well with the sugar apple sweetness of the cider. Crispin Bare Naked cider will pair smoothly with spicy Thai food, Swedish meatballs, and Indian vindaloos and curries, as the straight ahead sugars and hints of spice in this cider will accent and compliment the complex flavors in a variety of highly seasoned foods. If you have tasting notes or pairing suggestion to add please leave a comment. ABV: 6.9 % Bottle: 22 fl oz. 650 ml. Maker’s Style Notes: Super Premium cider. Naturally fermented with Belgian Trappist yeasts. Organic maple syrup added. An homage to American craft beer makers pioneer spirit. Designed to be enjoyed over ice. In The Glass: Golden, creamy, milky, opaque. Lots of tiny very active effervescent bubbles. Aroma: Very strong confectionary aromas on the nose, with a slight maple sugar note. Taste: Culinary apples, spun sugars, honey syrup, with hints of maple in the finish. Overall Impressions: This cider has one dominant consistent note: sweetness. Smooth, sweet, uncomplicated. Note: Drank this cider up and chilled, not over ice as maker recommends. Next time we will try over ice and see how that affects the cider drinking experience. And: Beer yeasts used in cider making. We’ll discuss that topic in an upcoming post. Pairing Notes-The Tasting Lab: Drank solo. For more about Crispin Cider Company, read this informative interview from Heavy Table with Crispin Cider Company founder and CEO Joe Herron, written by Joe Norton, 2009. For an interesting read on apples and the human quest for sweetness: see Botany Of Desire: A Plants-Eye View of the World, Michael Pollan’s fascinating look at how plants have directed our desires. Cider52, or A Cider A Week. One new cider featured each week. Tasting, profile, or pairing. Cider52. A Cider A Week. Update: We HAVE posted reviews for 16 ciders in 18 weeks. Weekly postings? No. As of today we have revised our plan. YES to reviewing at least 52 Ciders in 2013. Hopefully more. CIder52: A Cider A Week : 52 American Ciders To Be Reviewed in 2013. We will review North American (Hello Canada & Mexico) ciders too (if we can get our hands on some) but they will not count toward our goal of 52 American Made Ciders Reviewed in 2013. We will continue to explore and review World Cider. But the 52 Ciders in 2013 goal is now CIDER USA. United States of Cider. 9.5* American Craft Cider Reviews. And Counting. Venue: The Farm on Adderley restaurant and event space. What: Dinner – A curated and contextualized meal inspired by early Dutch settlers in Nieuwe Amsterdam and the Lefferts’ family cookbook. The Leffert’s were early Dutch settlers with a stronghold of land in the Flatbush (“Vlacke Bos”) area of Brooklyn. Context Provided By: Historic Gastronomist, Sarah Lohman, founder and author of Four Pounds Flour Historic Gastronomy blog. The Seasonal Menu: included: house-made bread & butter with dried fruit and cheese, kale & bread “sop”, salted beef, corn “panne­koeken”, a “koolsla” of cabbage, butter & vinegar, and for dessert – apple crullers and salted caraway “koeckjes” with quince preserves. The Farm on Adderley’s well-curated drinks list features several cider and mead options which were the recommended pairings for the evening. Ciders on offer included: Breezy Hill Farmhouse Cider, Farnum Hill Extra Dry Cider, and Sylboro Old Sin. Cider #1: A glass of Breezy Hill Farmhouse Cider – A fresh, unfiltered, alive and lively apéritif. The perfect breakfast cider, also well matched to the bloomy rind cheese, dried fruits, beer jelly, and creamy, homemade butter. Cider #2: A bottle of Slyboro Old Sin – Enjoyed throughout the meal. Well paired with the cured and roasted meats and exceptional when paired with the various root vegetables and bitter winter greens. An emerging idea, noted in several of our upcoming American cider reviews: American craft ciders express an extremely strong affinity with raw, cooked, and pickled, root and cruciferous vegetables, especially – but not exclusively – greens. Brussel sprouts, cabbages, kales – this is where American cider parings seem to really express terroir. The humble, practical and sustaining greens are elevated by the cider and the straightforward pleasures of a well made cider are intensified when consumed with roots and greens. American agrarian character as part of a distinct American terroir or taste of place, is clearly expressed through the apple, the vegetable, and the cider maker’s craft. These American ciders paired with humble roots and hardy greens lead to a deeply satisfying sense of well-being. The transporting quality of these pairings remind us of the pleasures of enjoying the “fruits of one’s own labors” at the table, as discussed in David Buchanan’s book Taste, Memory. Cider #3: A glass of Farnum Hill Extra Dry Cider – with the koeckjes and crullers. A dry, crisp, compliment to the caraway, salt and spice of the sweets. Not an obvious choice as it deviates from the conventional sweet with sweet notion, but this mix of sweet, spice and ultra dry cider was, to our tastes, a very fine and refreshing ending to a most enjoyable meal. This idea of a regional and historical meal in context is an interesting way to present ciders – and could easily inspire makers and purveyors to create their own locale and time specific cider dining or tasting event. Maker’s Style Notes: Produced by Elizabeth Ryan of Breezy Hill Orchard. Hudson Valley Farmhouse Cider is fresh, unfiltered, unsulphited, authentic artisan farmhouse cider. It has a shelf life of 2-4 weeks and must be kept refrigerated. Slightly effervescent…a rare opportunity to enjoy a truly authentic beverage. Tasting Notes – In The Glass: Opaque golden amber. Effervescent with mostly tiny bubbles. The primary flavors are all fruit but of various types: Pear, Tropical Fruit, Banana, Citrus, Culinary Apple. Vegetal and floral notes. Grass and Vanilla. Medium body with a silky mouthfeel. Sweetness balanced by salinity. Acid and bitterness are present but in low levels. Rustic and easy drinking like a Saison. Our Pairings – The Tasting Lab: Drank solo (before breakfast!) – but mused on cured meats, bitter greens, fudgey blue cheeses and best pairing of all – Maple Bacon Donuts. This one makes us think of our colonial forebearers. Surely Ben (Franklin) quaffed a beverage like this before bustling off to invent something extremely useful. Red Flannel Hash (hash with beets) just begs to be paired with breakfast cider – channel your inner lumberjack. Overall Impressions: This IS Breakfast Cider. Of course discerning cider drinkers may certainly find other times of day to enjoy this most wholesome and refreshing drink. Tasting was over a period of days and the cider is so fresh and alive that each day it offered a different profile and was SO lively. Sweet, silky, astringent, slightly effervescent, and bursting with all kinds of apple cider goodness. We love this cider. High marks for transporting qualities. Dynamo Donut Maple Glazed Bacon Apple Donuts – AND they make a Quince Crumb Donut. EVERYDAY is Bacon Donut Day. Donut Plant‘s Ginger Donut – Cake or Yeast. Style Notes: Hopped hard cider. Made from fresh sweet cider, with champagne yeasts, lightly carbonated. Makers Bottle Notes: “Our Heritage Hops Cider is a tribute to the early hop growing history of Madison County, dating back to the mid 1800’s. Using a strain of locally grown hops, propagated from those originally grown nearby, we “dry hop” the cider after fermentation. It is aged for several months, then lightly carbonated”. Tasting Notes: In The Glass: Clear, bright, pale straw. Initially lots of large bubbles, some legs, settles into a tiny mousse ring. Piquant, slightly pungent, winey, Sauvignon Blanc, steel, hoppy, herbaceous, asparagus, green pepper. Tannic, slightly bitter bite from the hops, medium long finish, somewhat drying. Our Pairings – The Tasting Lab: Liddabit Sweets Sweet Potato and Black Pepper Caramels. Cider enhances the caramel’s flavors and the caramels intensify the bitter crisp acidity of the hoppy cider. Cheesemonger’s Notes: Any bloomy rind goats milk (Humboldt Fog, Coupole, Valencay) will pair exceptionally well with the bright flavors in this cider. Spicy Blues such as Valdeon or Blaue Geiss would also be lively companions. Overall Impressions Refreshing flavors of fresh cut grass, minerals, green pepper, nettles and of course hops. If you love American IPAs this is a cider for you. Style Notes: Small batch varietal hard cider, made with Redfield apples and Golden Delicious apples. Makers Fruit Notes: Bottle Notes: The Redfield is a rare, red-fleshed American apple, both tart and tannic. It makes a cider of vibrant color and fruit. Mid-dry. 2011 harvest 350 cases. From fresh pressed apples, contains sulfites. 75% Redfield, Apex Orchards, Shelburne, Mass. 25% Golden Delicious, Wheelview Orchard, Shelburne, MA. About the Apple: From Vintage Virginia Apples “REDFIELD is a highly unusual cross between Wolf River and Niedzwetzskayana Red Crab. The fruit is medium to large, waxy-pink to red. The deep-red flesh is slightly dry, making it a superb baking apple that also produces an exceptional jelly, blood red cider, or vinegar. It is high in pectin, but is not for fresh eating, and has a short storage life. Extremely hardy tree is disease and pest free. Heavy annual bearer. Highly ornamental with bronze leaves and red blossoms. Ripens in October. Zones 3-4. Developed at the New York Station, 1938″. Tasting Notes – In The Glass: Clear bright lively shine. Pale rose – light copper in (clear) bottle and glass. Light mousse ring, slight legs/tears. Aroma of red fruit, berries, hints of licorice, confectionary, culinary apple, sugar, honey, fresh apple fruit, red apple skins, hint of balsa wood, grass, anise. Winey and full of tannins. Our Pairings – The Tasting Lab: This cider drinks well on it’s own but we wouldn’t hesitate to serve it alongside Lamb, Duck, or any citrus or berry based desserts. Cheesemonger’s Notes: Aged cheeses with a hint of sweetness and intensity will compliment the fruit and anise notes of the cider. Try Midnight Moon (aged goats milk Gouda) or Cabot Clothbound Cheddar (by Jasper Hill). Overall Impressions: Oh so pretty in the glass, if there were beauty contests for cider Redfield would be a top contender! It’s not lacking in personality either- pleasing acidity, crisp, slightly tannic, yet juicy. Semi dry with a very fleeting sweetness and a tad bit of salinity. Drinks like a wine- the Pinot of cider. Note: Here is a cider that uses 25% Golden Delicious apples to great effect. Style Notes: Dry, sparkling cider, forced carbonation. Splash of Slyboro Ice Harvest Cider added. Makers Fruit Notes: Macintosh and Russet apples. Tasting Notes: In The Glass: Deep clear shining amber. Strong aromas of baked apple and caramel, enriched by splash of Slyboro Harvest Ice Cider. Our Pairings – The Tasting Lab: We tried with Berkswell raw sheep milk cheese*. Cheesemonger’s Notes: Pair with a rich double or triple creme such as Pierre Robert for a creme brûlée effect. Bolder, slightly complex companions such as Harbison, Batch 35, Ossau Iraty, and Roquefort should produce delicious results as well. Overall Impressions: A well crafted American cider that needs a re-tasting away from all the lovely Asturian acidity and funk. *This cider was part of a January of 2013 Murray’s Cheese tasting class. Rowan Imports was on hand to discuss this cider and cider making practices. This Cider House Rules: Paring Cider and Cheese is being offered again in April. Style Notes: Semi-dry, sparkling cider, forced carbonation. Makers Fruit Notes: Blend of Northern Spy and Liberty apples grown at Hicks Orchard in the Adirondack foothills. Tasting Notes: In The Glass: Bright, pale golden. Aroma of baking apples, buttery, warm caramel, hints of toffee and spice. Sweetness balanced by fresh crisp acidity. Our Pairings – The Tasting Lab: We tried with Montgomery’s Cheddar from Somerset, England. * Somerset Cheddar is a Slow Food Forgotten Foods Ark of Taste heritage cheese. This raw cows milk cheese is wrapped in linen and rubbed with lard before cellaring, and ripens from the inside out creating a delicious rind. Cheesemonger’s Notes: The subtle qualities of this cider will nicely support the sweet butterscotch notes in Aged Goudas (Old Amsterdam, Robusto, 3 or 5 year vintages) plus the carbonation and acidity will cut through the dense flavor giving this sometimes overpowering cheese more play time with your palate. Overall Impressions: All around pleasing cider. Worth another try when palates are not overwhelmed with Asturian “amargo”. Style Notes: Asturian cider, naturally occurring indigenous yeasts used in fermentation. Makers Fruit Notes: A blend of three hand picked DOP/PDO (Denominaciones de Origen Protegidas-protected designation of origin) certified heirloom cider apples varietals: Raxao, Regona, and Durona de Tresali (pictured). Apples are allowed to fall and mature on the orchard floor before processing. Tasting Notes: In The Glass: Bright, clear, golden, green. Tart green apple, grass, wet straw, citrus, winey, yeasty, slightly tannic. Note: An earlier tasting successfully paired Españar Sidra de Asturias with spicy marcona almonds, and Asturian cheeses: Queso de Valdeón, Afuega´l Pitu, and Ahumado de Pria, a smoked mixed milk cheese, and walnut date cake. Read more about Asturian Cheeses at Quesos de Asturias. Overall Impressions: A clean, crisp, Asturian cider that drinks like a light, white wine. *This cider was part of a Murray’s Cheese tasting class This Cider House Rules: Paring Cider and Cheese, in January of 2013. Rowan Imports was on hand to discuss this cider and Asturian cider making practices. Style Notes: Inspired by Quebec, Canada’s Ice Ciders, this is Spain’s first Frost Cider. Fruit: Apples. Regona, Raxao, and Durona de Tresali, from Valverán’s orchard, el Rebollar. Tasting Notes: In The Glass: Deep golden amber, full, smooth, sweet smokey burnt caramel and baked apple. Notes of wood, sherry, toffee, and raisin, with hints Asturian apple acidity and “amargo”. Cheesemonger’s Notes: Blue cheese and 20 Manazas is classic pairing. Overall Impressions: A sipping cider, as an apéritif or for dessert. A cold season treat. Mixology options: when exploring Port and Sherry cocktails, 20 Manzanas would be an interesting Asturian twist. Note: Valveran’s Massaveu family have been making wine for more than 40 years, and began producing cider in 2010, producing unique ciders by combining methods of cider and wine production. Eataly’s rooftop restaurant and brewery Birreria features an assortment of on site brewed cask ales. Cider: POMONA cider/braggot on cask at La Birreria NYC. Tasting Notes: SEMI DRY and extremely light with a slight sourness. Overall: Beer meets Cider meets Mead. Style Notes: Traditional Asturian sidra, fermented with native yeasts. Makers Fruit Notes: Blend of Regona apples and 21 other PDO certified native varietals. Tasting Notes: In The Glass: Pale straw, hints of green, unfiltered, unpasteurized, visible sediments. Bracing acidity “amargo”, tart fresh apple fruit, dry, tannic, effervescent. Our Pairings – The Tasting Lab: We tried with Salva Cremasco, an Italian cows milk cheese*. Try pairing with melted cheeses and fruit jams, or rustic garlicy onion jams, hearty salads, kale, bitter greens, cured meats, sausages, aged cheeses. When in doubt pair with Spanish tapas. Cheesemonger’s Notes: The zingy acidity of this cider will nicely match that of a goats milk cheese such as Montenebro or Humboldt Fog. For those who prefer things on the stinkier side try this with Hudson Red or Cowgirl Creamery’s Red Hawk. Overall Impressions: (We) could drink this with anything. Sweet or savory. Fresh, tart, full of “amargo”, about 80 calories a bottle, and just this side of vinegar, it’s clear why Asturianos favor this drink throughout the day. Traditional Sidra de Asturias may not be what you were expecting from a cider, but it is certainly worth trying. Note: June, 2012 marks Castañón’s first export shipment to New York. *This cider was part of a Murray’s Cheese tasting class, This Cider House Rules: Paring Cider and Cheese, in January of 2013. Rowan Imports was on hand to discuss this cider and Asturian cider making practices. Style Notes: Asturian sparkling cider, champagne method. Makers Fruit Notes: A blend of three hand picked PDO (Denominaciones de Origen Protegidas-protected designation of origin) certified heirloom cider apple varietals: Raxao (pictured), Regona, and Blanquina. Tasting Notes: In The Glass: Pale straw, sparkling, dry, yeasty, winey, crisp green fruit, with “amargo”- a pleasant tart astringency. Cheesemonger’s Notes: Goat milk cheeses are an excellent choice. Try pairing with a tangy Boucheron, Vermont Butter and Cheese’s mixed goat and cows milk Cremont, a Catalonian Nevat, or an ash coated Mont Enebro, from Avila in Castilla y Leon. Don’t feel like goats milk cheese ? Try a young, supple, caramelly Gouda. Overall Impressions: A sparkling cider traditionally served in Spain for holidays and celebrations. Try this instead of a cava, prosecco, or other sparkling wine. A festive drink with tapas, or mix it with blood orange juice for Spanish influenced take on a mimosa. Style Notes: Unfiltered, unpasteurized Normandy style cider. Tasting Notes – In The Glass: Glowing soft slightly opaque amber. Yeasty, hints of leather, orange citrus, spice, vanilla, and apple custard. Frothy effervescent cream soda, Orangina quality. Smells of the orchard and barnyard. Parings Suggestions & Flavor Compliments: Traditional buckwheat savory crêpe, a galette (David Lebovitz has a recipe here), perhaps with ham and Gruyère, maybe something a bit mushroomy and earthy. Try with a fruit and cheese, or classic tart tatin. Our Pairings – The Tasting Lab: Paired with braise of turkey sausage, savoy cabbage and roasted root vegetables, and whole grain cranberry and citrus applesauce bread. Tartness of cranberry and the caramelized roasted roots paired well with the sweet, tart, frothy cider. Cheesemonger’s Notes: On the softer side, the richness and truffle essence of Fromage de Meaux will balance the fruit and effervescence of the cider. Nutty aged cheeses such as Comte, Pleasant Ridge Reserve, or Cabot Clothbound Cheddar with its butterscotch undertones, will all be excellent mates as well. Overall Impressions: Rustic, earthy, effervescent, slightly sweet, hints of leather, and lovely in the glass. Style Notes: Dessert apples, champagne yeasts, maple syrup added. Tasting Notes: In The Glass: Bright, clear, light gold. Big bubbles. Winey, culinary apple, hint of lime zest. Maple provides a light candied sugar flavor. Sweet, tart, balanced, with a slight warming finish. Our Pairings – The Tasting Lab: We tried Harvest Moon Cidery Four Screw with Belgian ginger cookies and gingerbread caramels. Tasty. Four Screw’s subtle nutty notes suggest it would pair well with roasted and caramelized foods, bitter greens, roast fruit. Cheesemonger’s Notes: Any cheese with a nutty, caramel profile, some crunch, and a bit of age would pair well with Four Screw. Overall Impressions: This cider was a surprise, “with maple syrup” suggested a sugar bomb and darker color. The maple gave the cider just a hint of candied sweetness that balanced the tartness and acidity. Thanks Maple Syrup! Note: According to their website Harvest Moon Cidery, Critz Farms “plans to establish a new orchard dedicated specifically to growing cider apples. A mix of European cider apple trees and other dessert apple trees will be planted in the spring of 2014”. Style Notes: Traditional Normandy pear cider or poire cidre, sparkling, unfiltered, unpasteurized, and bottle conditioned. Fruit: Pears. Plant de Blanc, Muscadet, Tricotin, Avenelle and Poire de Grise. Tasting Notes: In The Glass: Clear, pale, sparkling. Perfumed, inviting, complex. Tastes of fresh pear fruit, hints of melon and citrus, natural sediments in glass, rustic with a clean pure sweetness, balanced by refreshing acidity. Parings Suggestions & Flavor Compliments: Shellfish, Dungeness crab, oysters, poached fish, young greens, endive, artichokes, leeks, fennel, fresh herbs, citrus, rustic tarts, zabaglione and berries, fruit ices. Our Pairings – The Tasting Lab: We tried Poire with French pâtisserie, plum and apricot tarts, chocolate covered almonds and orange jellies. Excellent with all, especially well paired with the citrus candy- creating a delicious creamsicle flavor. Cheesemonger’s Notes: Try Poire with young, soft, bloomy rind, double or triple cream cheeses, such as Fromager d’Affinois, St. Angel, Brillat Savarin, Cowgirl Creamery’s Mount Tam, or even a lavender and goat cheese fondue. Overall Impressions: Extremely pleasing apéritif, perfect to pair with cheese or sweets. Well balanced, well structured. Elegant, festive, and refreshing, with an incredibly alluring pear perfume. Style Notes: Sparkling single varietal heirloom apple cider made with champagne yeast. Tasting Notes: In The Glass: Pale yellow straw. Fresh apple aroma. Fast sweet start, with hints of caramel, balanced by juicy tart acidity, “green apple in a glass”. Parings Suggestions & Flavor Compliments: Fried foods, spicy foods, think Thai, Indian, Chinese, spring rolls, pork dumplings. Good “small plate” and appetizer-pairing cider. Our Pairings – The Tasting Lab: We tried Newtown Pippin with Dirty Bird takeout fried chicken, garlic kale, and cornbread. Perfect lunch pairing. The cider was even more enjoyable with food. Cheesemonger’s Notes: Try pairing Newtown Pippin with Alpine-style or mountain cheeses, such as Appenzeller or other washed rind cheese. Would be great with a grilled cheese sandwich, or fancy slice. Overall Impressions: Easily drinkable Original Sin Newtown Pippin cider is a single varietal apple cider that is enhanced by pairing. Fresh, crisp, juicy, tart, and clean. Tastes just like we imagine a Newtown Pippin in a glass would. Raise a glass and celebrate New York’s Newtown Pippin. Hurray for the return of an important heirloom apple as a New York made cider! *Note: Listed as a New York company. This bottle of Original Sin Newtown Pippin was bottled in Milton Freewater, Oregon.